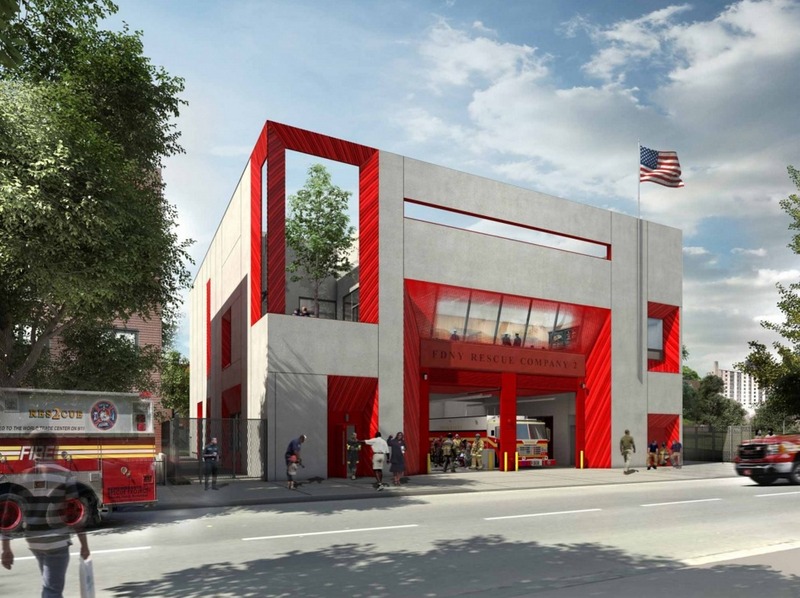 This one’s not done yet, but there’s something I like about this new fire station and training centre by Studio Gang to be built in Brooklyn. 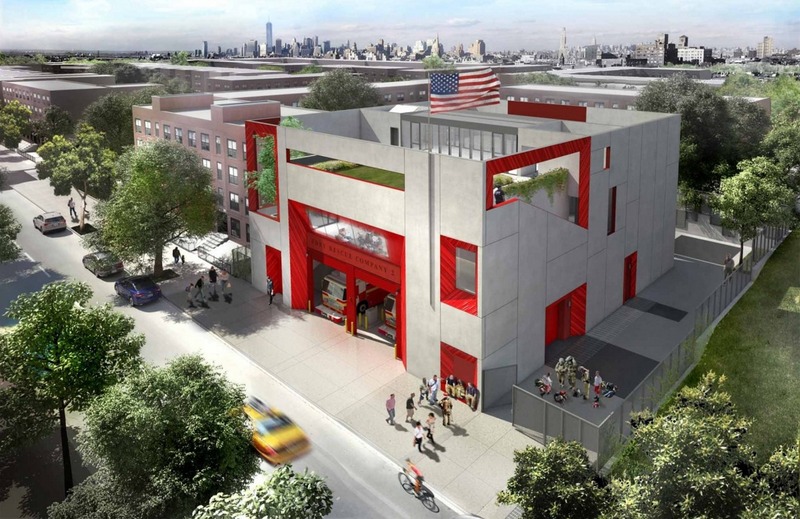 There’s a playfulness to it as it nicely intertwines the functions of requirements of a training apparatus to create a fire station environment that is great for the firefighters working and stationed there. Starting with a simple concrete cube, the facade is peeled back while taking the iconic and traditional “fire engine red” to unabashedly mark the voids and openings, announcing its tenants through the bold colour. These voids within the cube are where this specialized company will practice their talents, and this continues inside, with a large central void lined with balconies, bridges, ladders, and stairs. Nicely, all of the voids serve multiple purposes. The exterior ones form terraces, gardens, and places of respite and relaxation while awaiting the next call. Inside, the void lets hoses be hung to dry, and draws light and air deep into the building to improve the various living quarters and offices. 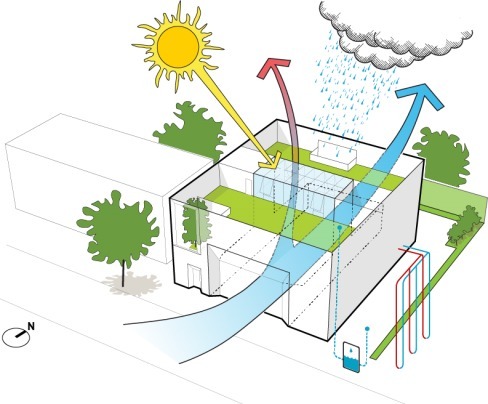 Together with the green roof and solar water heating system, the building treats the environment with respect. Overall, an inventive design that manages a whole host of programmatic requirements in a compact form that, through the specific accommodation of those very specific requirements, makes for a more pleasant building to be in for the firefighters. That’s what architecture is all about. Nicely done.